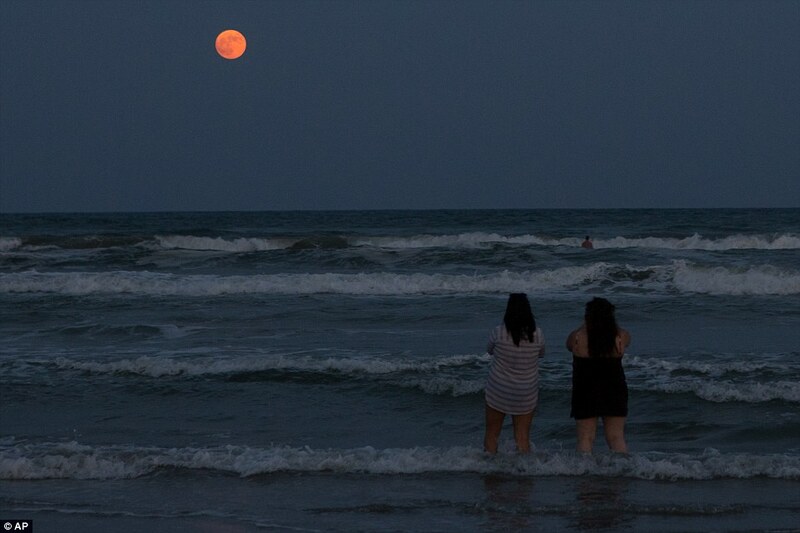 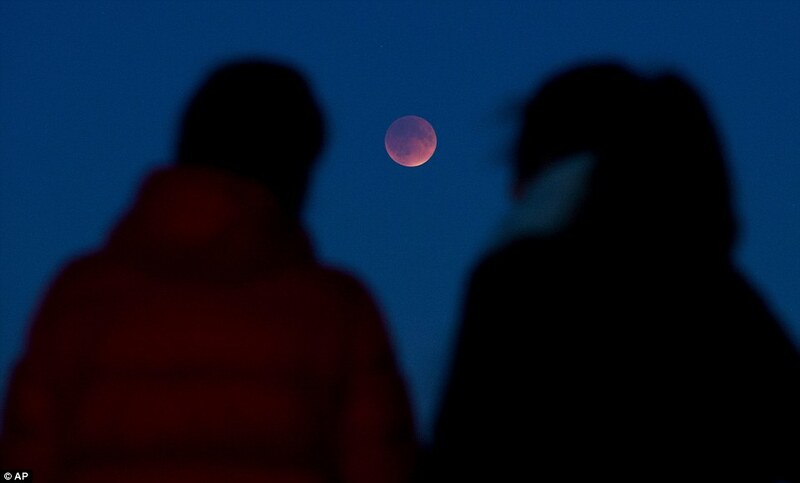 What is a ‘blood moon’? 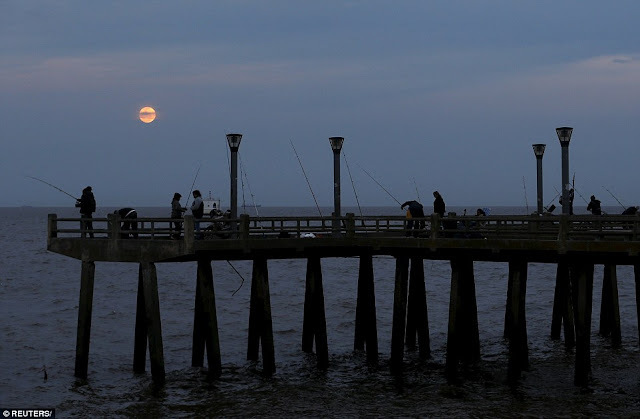 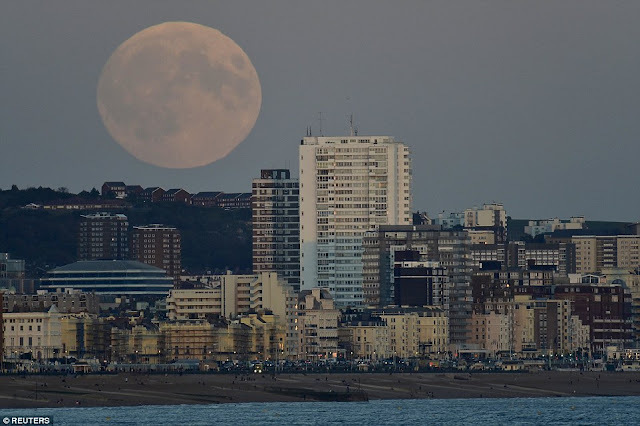 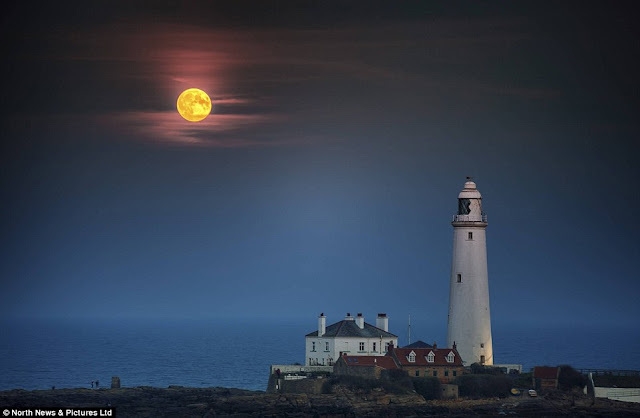 : The term is scoffed at by astronomers, but it has come to mean the combination of a super moon – when the moon’s orbit is closest to the Earth and appears up to 8% bigger – and a full lunar eclipse, when the Earth’s shadow obscures the moon. On Sunday night it resulted in spectacular views of a coppery disc in the sky. “Blood moon” is not a scientific term. 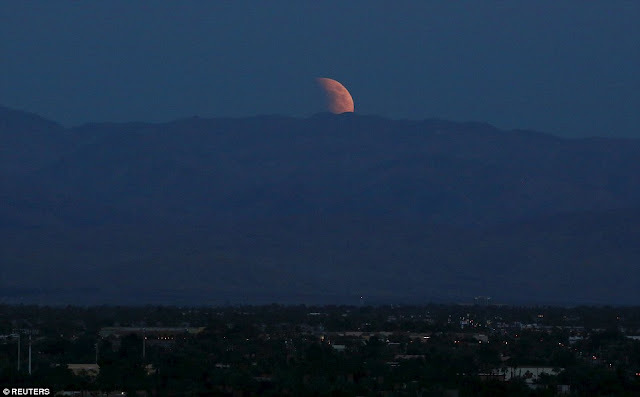 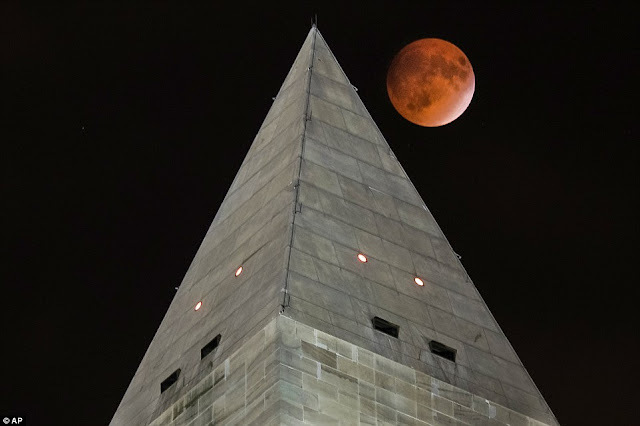 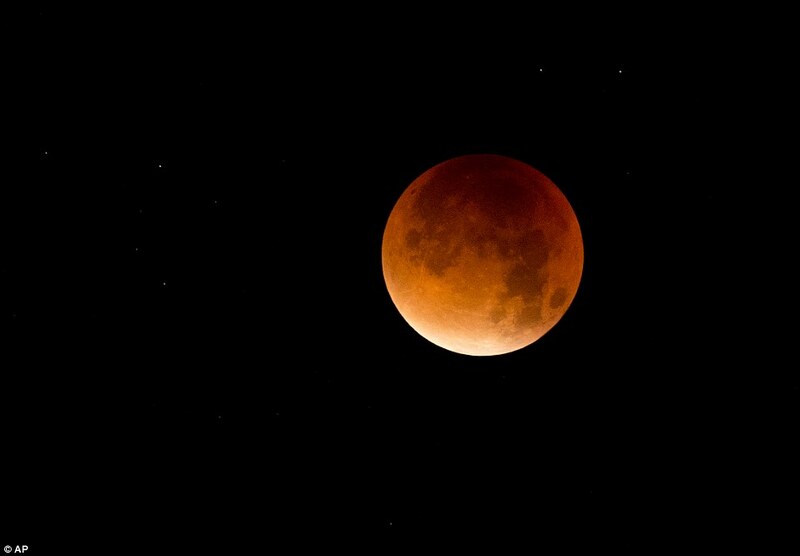 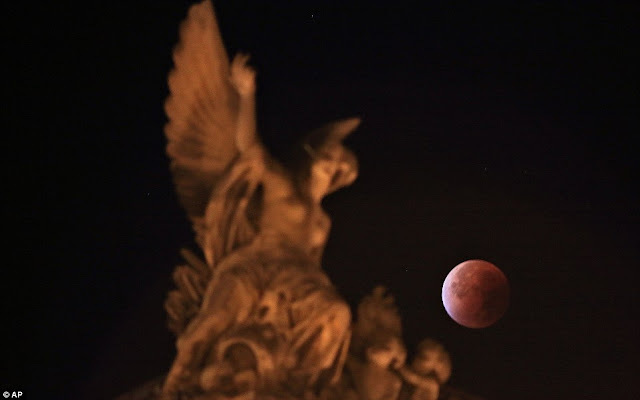 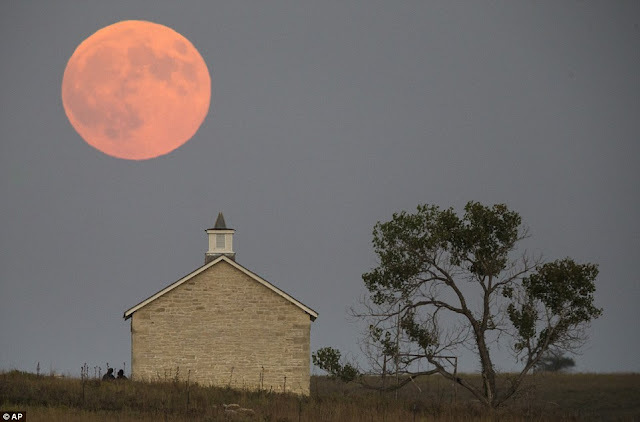 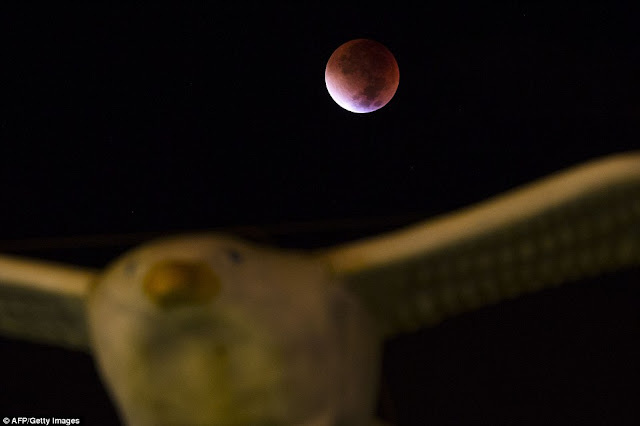 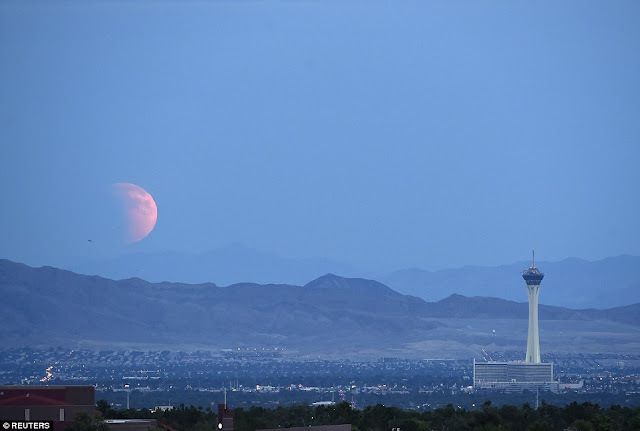 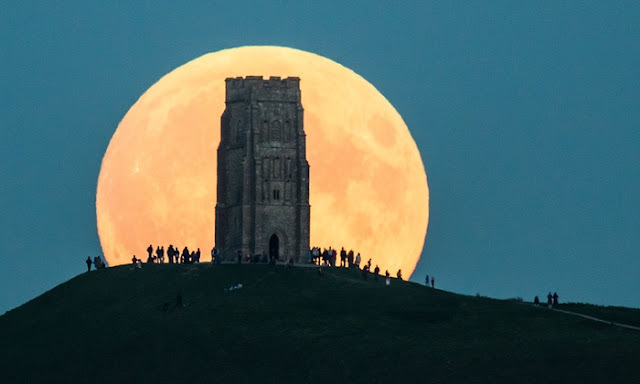 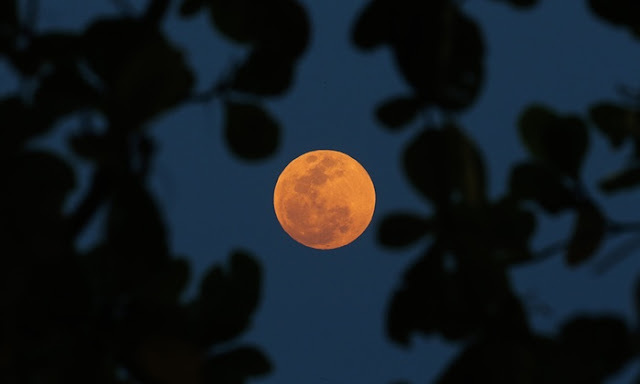 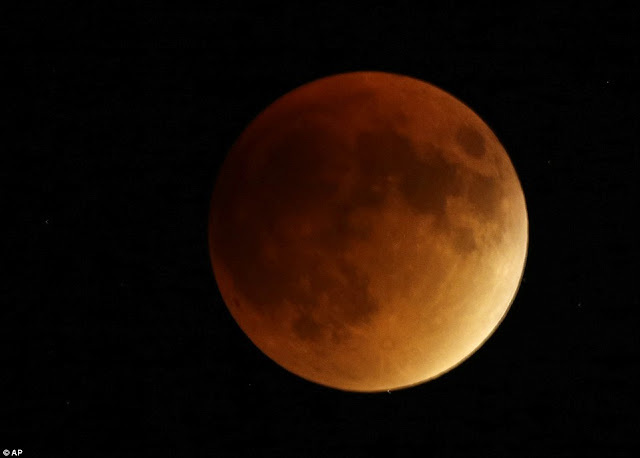 It began to be used in connection with Biblical prophesies, but has come to be used to describe the reddish hue seen on a super moon during a lunar eclipse. 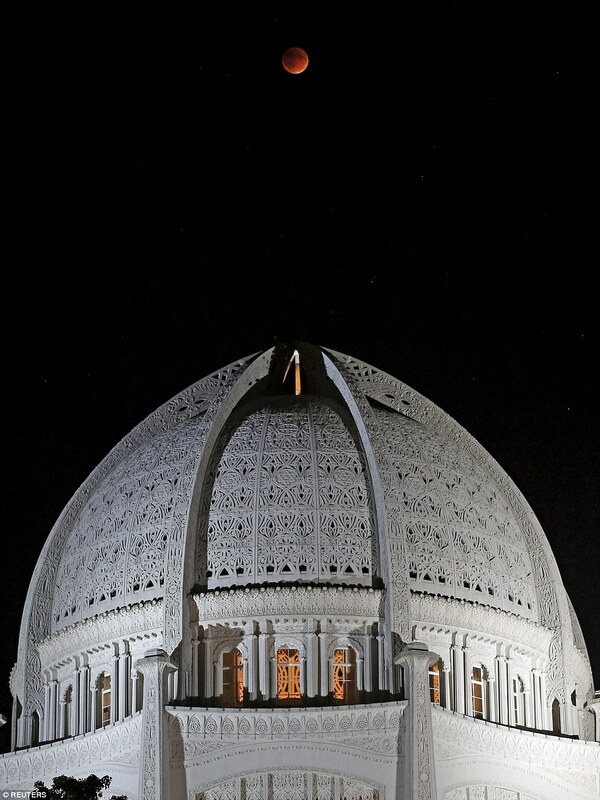 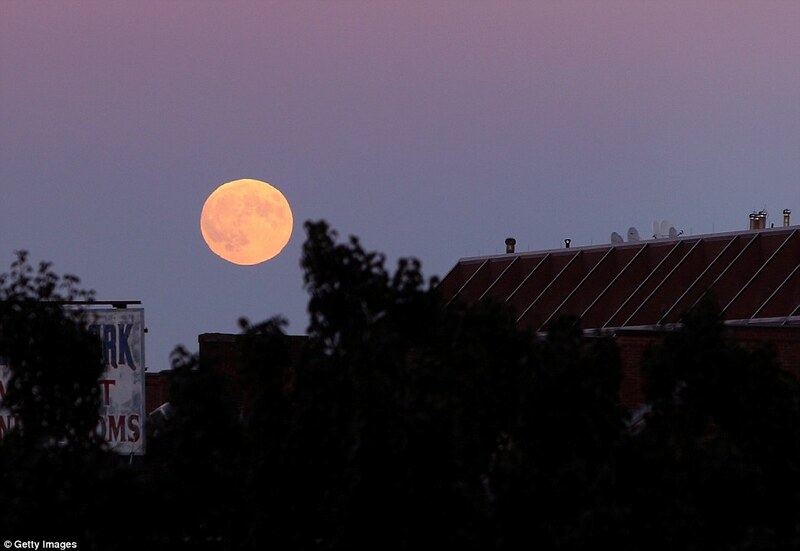 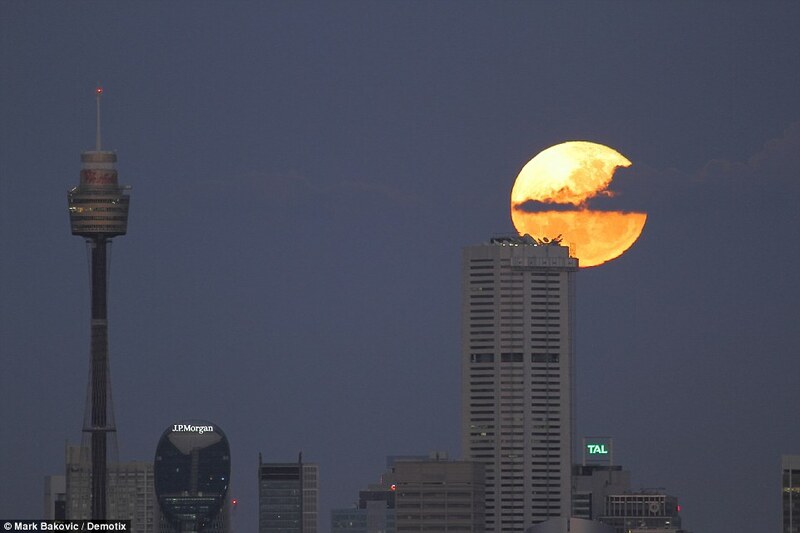 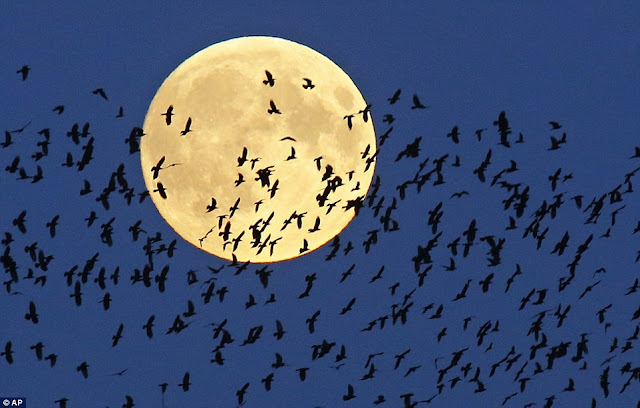 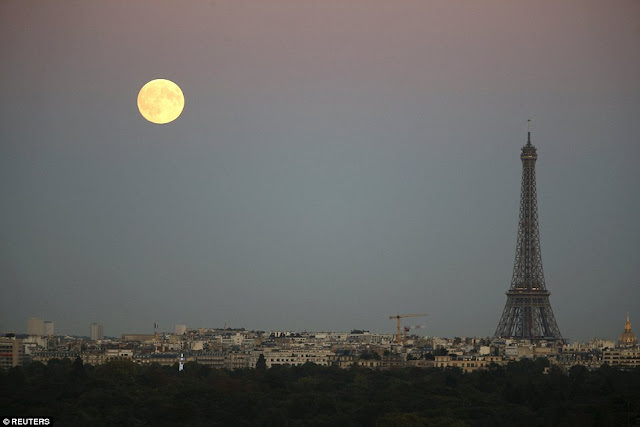 To astronomers, the event was a “super moon, harvest moon, tetrad, lunar eclipse”. 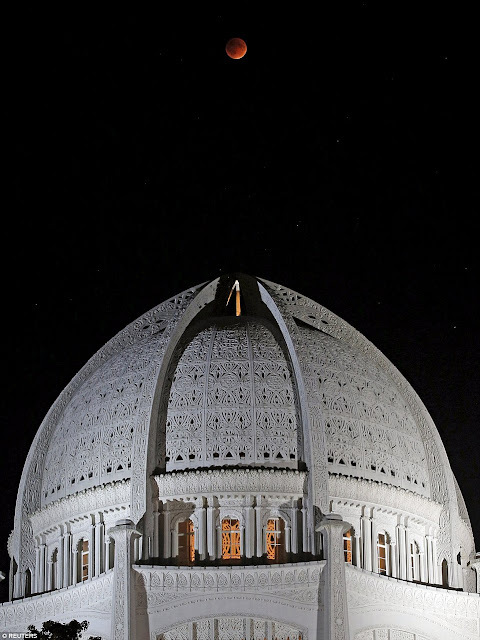 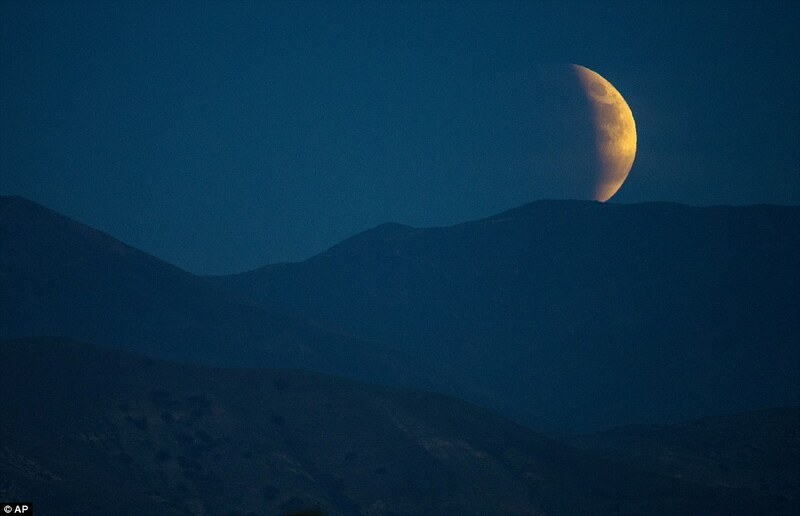 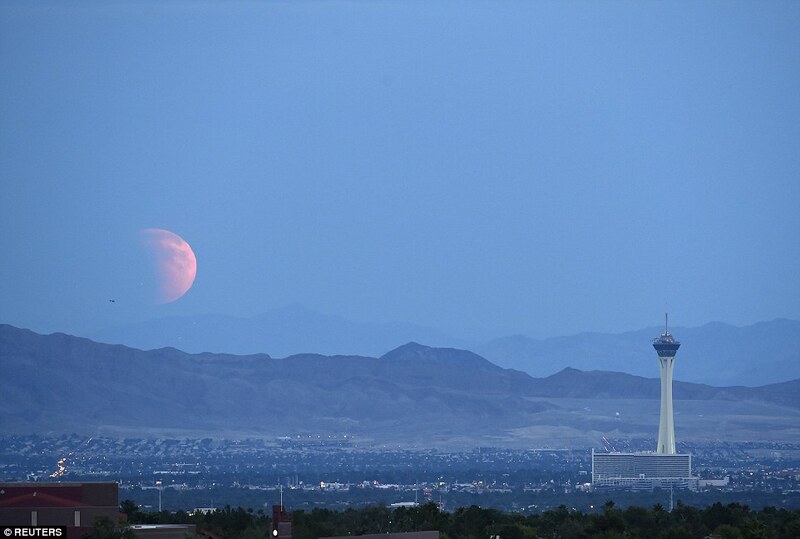 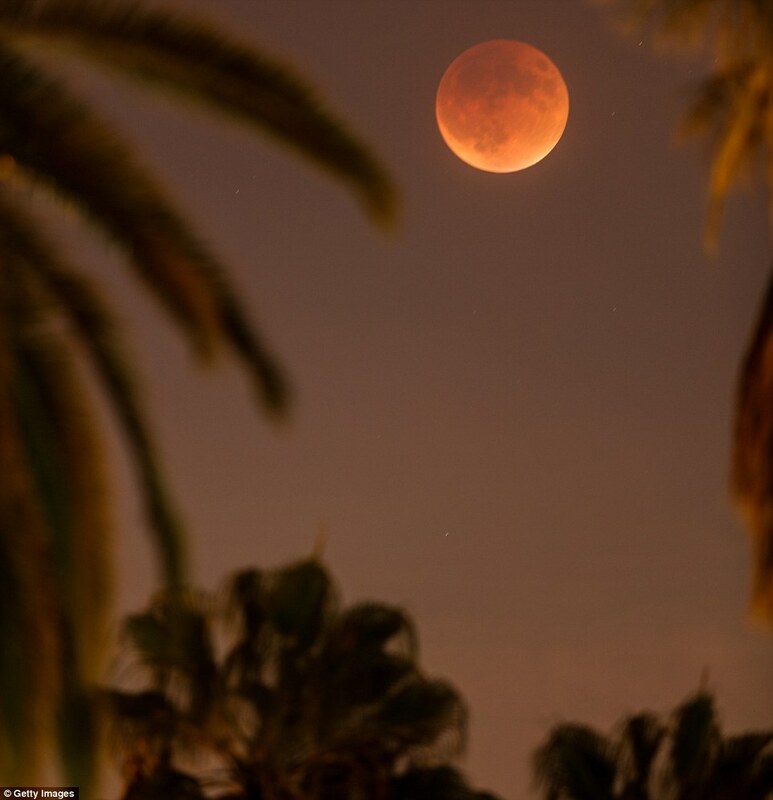 Responses to "Blood Moon 2015: Stunning Images From Around The World Show Lunar Spectacle "